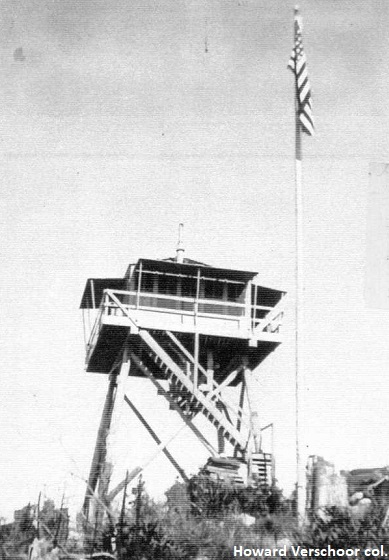 1919: 10' pole tower, shake cabin. 1934: 22' L-4 tower. 1958: R-6 flat cab. Destroyed 1968.